How Often Should You Change Your Lawn Mower Oil? Everyone loves a well manicured lawn. There is nothing better than watching your kids play on a freshly cut lawn while you spend the day gardening and planting new flowers or enjoying a glass of wine watching the sunset from your yard. Keeping your lawn looking nice with minimal effort means that your lawn mower should be running in tip top condition. 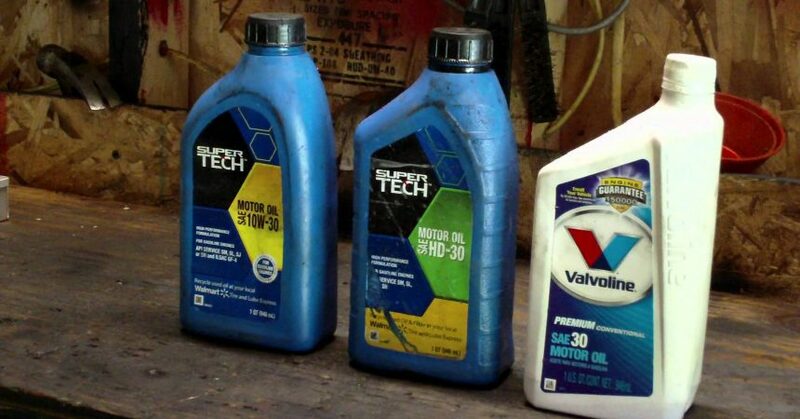 Just like cars, your small engine needs frequent oil changes to keep things running smooth and like new. So then comes the question of how often should you be changing your lawn mower’s oil? Well the answer to this question varies slightly depending on the model of lawn mower you have and of course the type of mower whether it is a push mower or a tractor style riding lawn mower. For most lawn mowers, you should be changing the oil every 20 to 50 hours of operation for optimal performance. It is always a good idea to check your owner’s manual or operators guide since the manufacturer will specify the oil change schedule for your specific make and model of lawn mower. At the very least you should be changing your lawn mower oil with every seasonal small engine tune up and maintenance service. Keeping up with regular lawn mower oil changes will help your lawn mower run more powerfully and be more dependable so you will be able to cut your lawn and sculpt your yard at any time with ease. Proper maintenance of your lawn mower will ensure that your lawn mower lasts for many more years and will make cutting your lawn easier and faster because your lawn mower will be more powerful. Combine this with regular lawn mower tune-ups and maintenance and you will be finished cutting your lawn before you know it, leaving more free time for the important things like spending time with family. If you are looking for small engine repair, maintenance or to have the oil changed in your lawn mower then give us a call or request a small engine service from our lawn mower pros. We’re here to help keep your small engine equipment and tools running in peak condition! Quality Product. Exceptional Service. Affordable Prices. MVS Ottawa is locally owned and operated. Proud to be Canadian.